This entry was posted in sound beehive and tagged audio, honeybees, ict, monitoring, sensors on 09/09/2014 by admin. 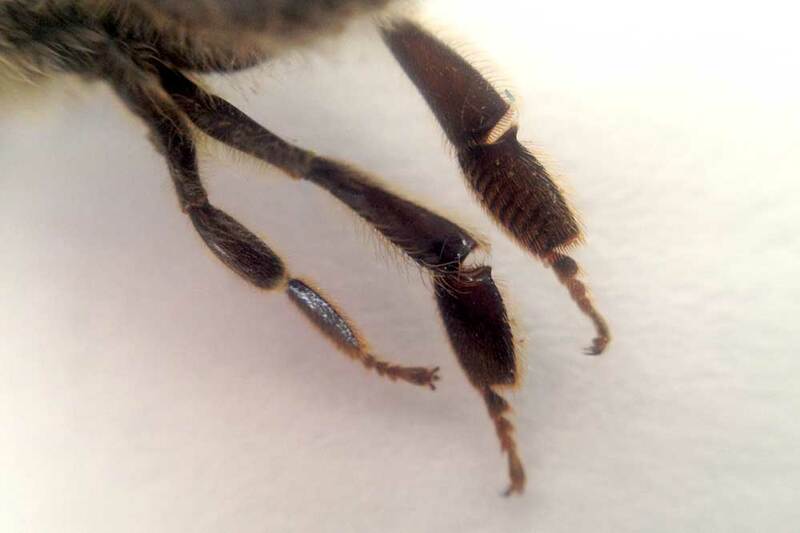 As bio indicators, honeybees provide us with a constant stream of information on the environment (urban, countryside) on which they forage (activity, pollen, nectar). Diseases like colony collapse disorder and environmental problems like the use of pesticides could be analysed in a different way by monitoring and analysing the daily activity (audio, video) of several bee colonies over multiple years. 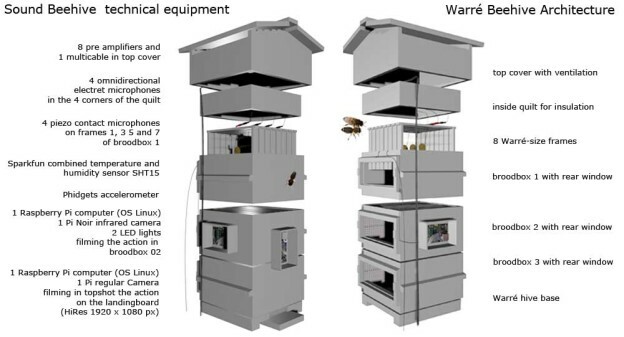 In our test station in Brussels city center, we have 2 beehives equipped with off the shelf-technology for monitoring bee activity at the landing platform (2 x video, outside and inside) and for monitoring the health and development of the colony by sound recordings of its activity (8 x audio, inside). The test station also hosts 4 non tech. equipped beehives which are usefull to make observations at the flighthole/landing platform and to compare these findings with the results of the digitally monitored hives. This entry was posted in sound beehive and tagged audio, honeybees, ict, monitoring, sensors on 04/09/2014 by admin. We will record 4 times 3 minutes an hour, every :00, :15, :30 and :45. The 8-channel files will be archived via the computer & network on the NAS, the computer then compiles the .wav files into a stero mp3 and a selection of the most recent files will be streamed to the OKNO server for broadcast. Vincent is installing the Prosunus soundcard and the Asus/Linus computer. He wrote a script to record every 15 minutes 3 minutes of sound on 8 channels. This makes 12 minutes on 8 channels per hour. The recorded files are send to the NAS (storage HD) in my studio. 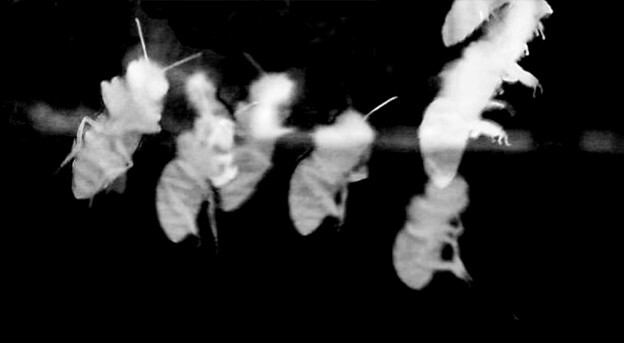 The last 8 files are compiled into a stereo mp3 and uploaded on the Okno server as a playlist. We are now testing the system during a few days, before the bees arrive. The bash script makes it possible to manage the recordings from a distance, online. Which canals, how many times, etc… everything is modular. But the goal is to automate the system once we are sure about the perfect setup. The bash scrip at server-side controls the recordings on regular intervals, the bash-script on client side synchronises the playlist of the last 30 minutes of recordings. There is also an online archive that can be consulted. The computer needs to be powerful enough to record 8 channels simultenuously, and as well compile into mp3 format and stream the playlist. 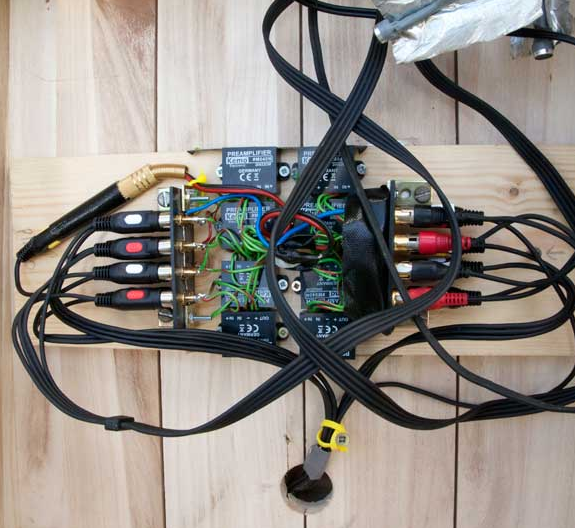 Cables, connectors, piezo’s and electrets: all the connectors to the preamps are located in the roof, above the upper box. Thje multicable (8 microphones!) is 10 meters long and comes out of the opening at the side of the rooftop. The length of the cable is of no importance thanks to the preamps in the rooftop. Everything is water resistant. All technology in the hive is on DC, so there is no EMF danger for the bees. The electrets microphones are also located in the rooftop, as such the bees won’t cover them with propolis. 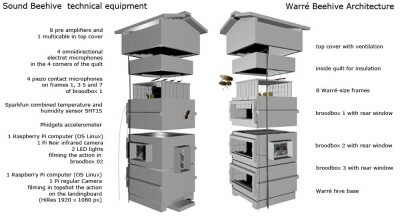 The cinch connectors are located on the topbars of the highest box (no other possibility) – hopefully the bees will not damage them with propolis. This entry was posted in sound beehive and tagged audio, honeybees, ict, monitoring, sensors on 07/05/2014 by admin. This time I want to do it differently. 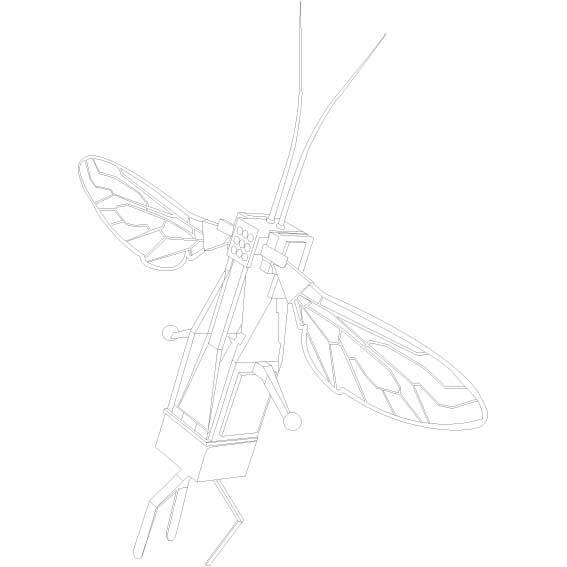 I will record at regular intervals the hum of the colony and analyse it thoroughly afterwards. I also want to link the sounds with the environmental sensor data (temp, humidity, solar radiation) in the surroundings of the apiary, with the sensor data inside the beehive (temperature, humidity and vibration of the comb) as well with video images in- and outside the beehive. For this setup, I will collaborate with Vincent Malstaf (sound engineer), Balthazar de Tonnac (computer scientist), Bob Motté (electronica engineer) and Bart de Boer (computer scientist Artificial Intelligence, complex systems, bio-acoustics). This entry was posted in sound beehive and tagged audio, honeybees, ict, monitoring, sensors on 05/05/2014 by admin. Many naturalists have studied aspects of animal behaviour throughout history. The modern discipline of ethology is generally considered to have begun during the 1930s with the work of Dutch biologist Nikolaas Tinbergen and by Austrian biologists Konrad Lorenz and Karl von Frisch, joint winners of the 1973 Nobel Prize in Physiology or Medicine. 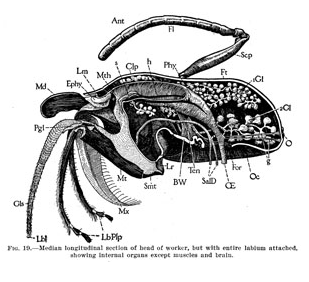 Ethology is a combination of laboratory and field science, with a strong relation to some other disciplines such as neuroanatomy, ecology, and evolution. 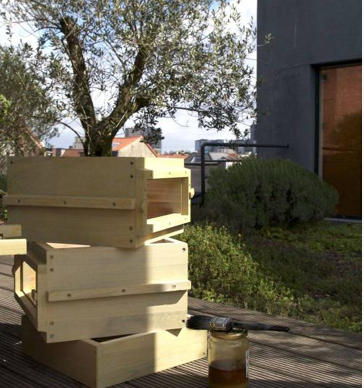 With the Sound Beehive experiment, we have been building a laboratory to study the development of the colony through its own sounds. 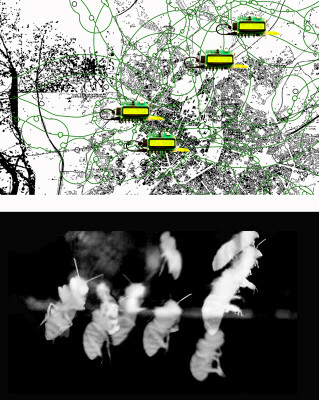 The buzz of a colony and its behaviour and conditions are quite related. It is possible to know if a hive is queenless or if an important amount of nectar has been collected simply by listening to it. 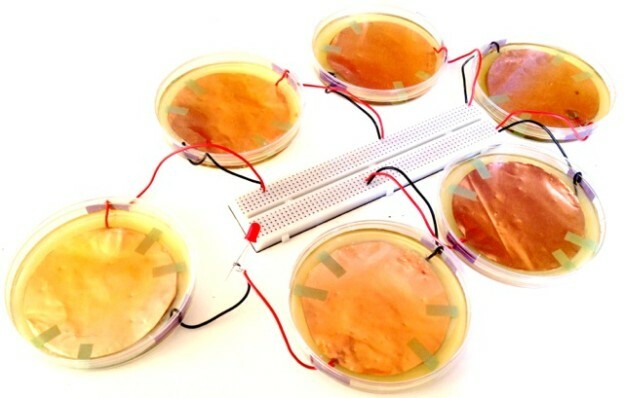 For this experiment we follow a systemic approach to raise understanding of the characteristics of the colony through relationships with its environment, through patterns discovered in the collected audio, video and sensor data, and through contextual observations. 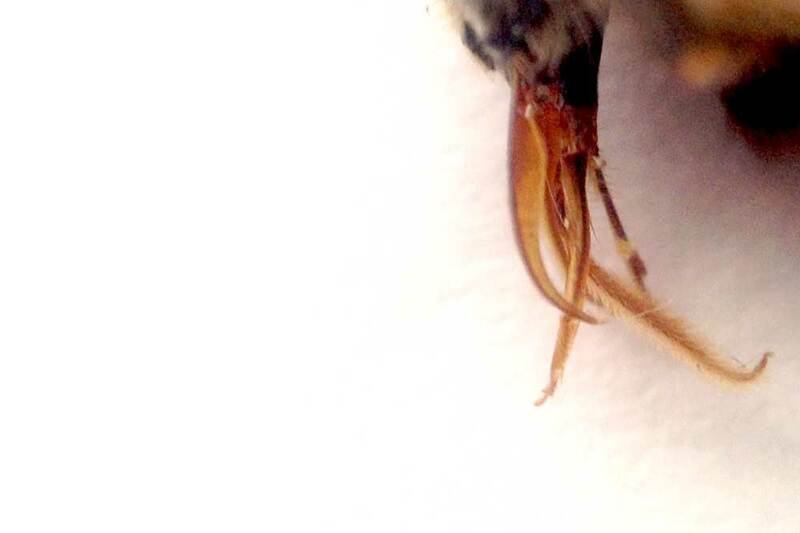 We study the bees as a re-generating network of actors (autopoiesis), all of them contributing to the organisation and well functioning of the colony, the super organism. Specific hardware and software is developed in order to continually monitor the sounds on different spots in the beehive. We upload our annotated video and audio data for public viewing in our opensource videodatabase pandora. All corresponding sensor data are publicly available on opensensordata.net. The information archive grows as more audiovisual observations and more sensordata are added over time. This entry was posted in sound beehive and tagged audio, honeybees, ict, monitoring, sensors on 01/05/2014 by admin.